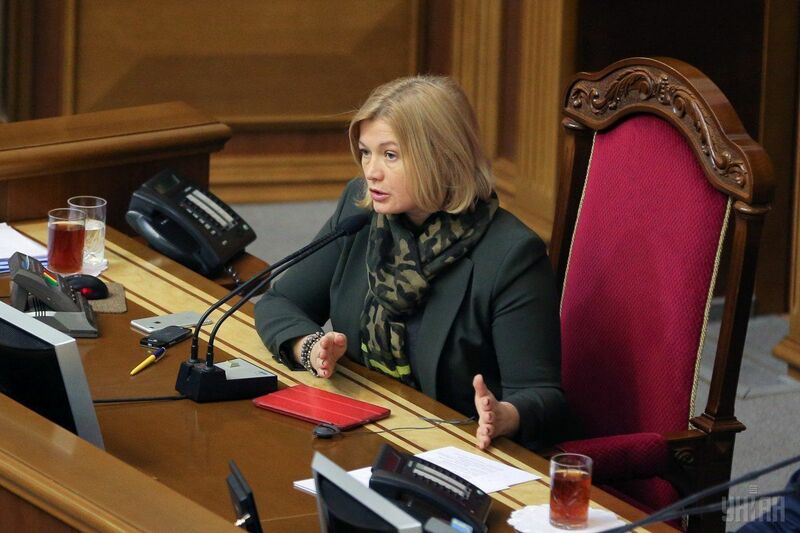 First Deputy Chairperson of the Verkhovna Rada and Ukraine's envoy to the Minsk Trilateral Contact Group's humanitarian subgroup Iryna Gerashchenko has announced that a woman who committed a serious crime against Ukraine but was pardoned by Ukrainian President Petro Poroshenko to facilitate the swap of prisoners has already been transferred to occupied Donbas. "As the SBU Security Service has just informed the president's office and myself, the transfer of a woman pardoned by the president for the facilitation of the swap of detainees has taken place at the Mayorsk checkpoint," Gerashchenko wrote on Facebook on Sunday evening. Read alsoTuka: Another prisoner swap in Donbas may take place in Feb"This woman asked a presidential pardon, she has admitted her guilt. She was severely wounded amid committing crime – her limbs were amputated, and she's got a baby. The president has made a humanitarian step and pardoned her for the sake of the release of our hostages," Gerashchenko said. According to her, militants in Donbas are now expected to fulfill their obligations and release a Ukrainian serviceman. "Under the agreement reached by the Minsk humanitarian [sub]group, we're now looking forward to seeing the transfer of our military man to the Ukrainian side in the coming days. Sorry, no more details and names [will be disclosed] today," she said. "We are also working on positive news for all other detainees: we've got instructions from the president that a new round of the release of our people should take place as soon as possible. We're doing our best. And I hope it will happen that way," she added.